Sony Xperia XZ1 has been officially announced with great specifications. The phone is set to be available this September 2017. 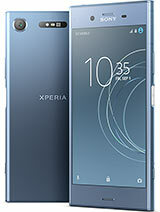 Sony Xperia XZ1 can also be called Sony Xperia XZ1 Dual F8342 as it features dual-SIM card slots and also comes running on the latest version of Android 8.0 Oreo, but the disappointing spec in this phone is the Non-removable Li-Ion 2700 mAh battery capacity. See the full specifications as well as the price of this phone below. Price About $700 USD / N250,000 in Nigeria. But the vision is the latest 1 ihope I can get it. 250k for this wack battery. No way Bro. It has all the 4G bands. You can make use of power bank if the ba3 is not favourable to your liking. I think say na 20000mAH sef! Them no dey slack o.. The battery of this phone is rubbish and apart from that, it is too expensive. Yes Oo my brother those who produced phone this days think every one is rich and capable of buying any phone with the desire amount the company want to sell. The device is nice the only setback to me is the nano sim slot and the ba3 capacity should have been step up a bit.